Dalton Trans. 2014, 43, 3048-3051. 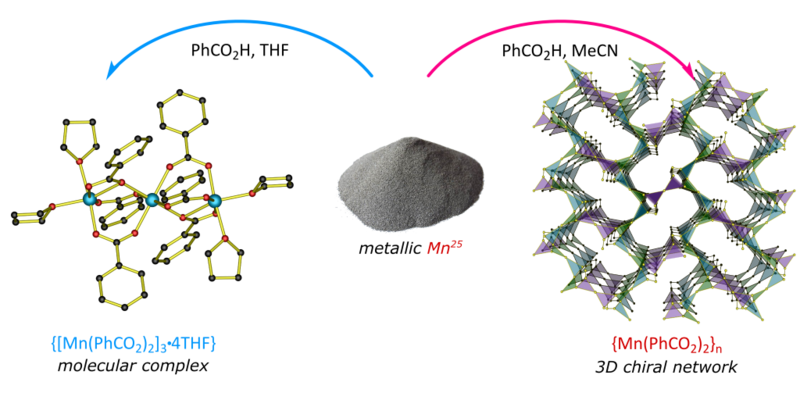 An efficient synthetic procedure of manganese carboxylates including a trinuclear cluster [Mn3(PhCO2)6(THF)4] and unique [Mn(PhCO2)2]n chiral 3D network is reported. The procedure involves a simple redox process, in which acidic protons are reduced to gaseous hydrogen by oxidizing metallic manganese under solvothermal conditions.